European Union in Bible Prophecy: RUMORS OF WAR, EARTHQUAKES, ROARING OF THE SEA, TERRORISM : BUT THE END IS NOT YET !!! RUMORS OF WAR, EARTHQUAKES, ROARING OF THE SEA, TERRORISM : BUT THE END IS NOT YET !!! During the 1340's the Bubonic Plague made its way into Western Europe and it is estimated that ultimately some 75 million people worldwide died because of it 'BUT' the end was not yet !!! During the 1930's over 5+ million people perished because of Stalin and the famine in the Soviet Union, 'BUT' the end was not yet !!! During World War II most Londoners who experienced the destruction of their city by Hitler's Airforce may have thought that their end was nigh 'BUT' the end was not yet !!! The millions of victims of the Holocaust may have prematurely believed that evil had conquered the world and that all hope was lost 'BUT' the end was not yet !!! The Japanese people who were affected by the atomic blasts and radiation poured upon Hiroshima and Nagasaki may have truly believed that the end of the world had come 'BUT' the end was not yet !!! The recent destruction that Hurricane Irma left behind in : Puerto Rico, the Carribean and in parts of Florida left hundreds of thousands almost homeless 'BUT' even that was not anywhere near to what the Book of Revelation 'Guarantees' that GOD Almighty will unleash upon the unrepentant sinners of planet earth in the not too distant future !!! Although all the people who greatly suffered major global calamities in the past did 'NOT' really taste of the seals and plagues of Revelation and of the 'End of the Age' 'ALL' human beings have an appointment with death and that's why we all must be right with our Creator at all times !!! 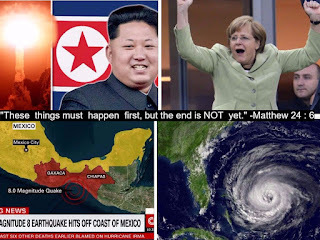 There are many more examples from history that this student of Bible Prophecy can bring up, sometimes great : tragedies, destruction and near annihilation appear to confirm to us that the end of the world is near 'BUT' not quite yet !!! 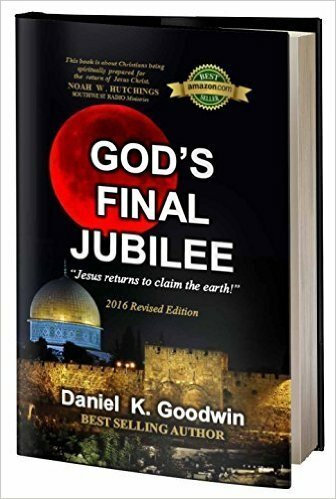 The real 'End of the Age' could 'NOT' have been triggered by anyone / most of these tragic historical events that this student of Bible Prophecy just mentioned above; for Israel had 'NOT' yet been politically reborn as a nation until 1948 !!! According to the Biblical Prophecies the end could 'NOT' have taken place without Israel and Jerusalem being in Jewish hands again !!! Decades later, after Israel's rebirth and the recapture of Jerusalem in 1967 'ANYTHING' is Prophetically possible !!! Everyone must understand that the 21 Judgements of GOD Almighty mentioned in the Book of Revelation have 'NOT' yet been fulfilled !!! The very first time that this student of Bible Prophecy read a page from the Book of Revelation was at a Roman Catholic Church when I was still not a born again Christian and still a very naive teenager with lots more hair on top of my head !!! As I read from this giant Bible that seemingly nobody seemed to ever touch, nor come near to and much less read from; it was near an idol statue of the 'Queen of Heaven' I still very vividly recall that very first experience reading a passage from Revelation; I very clearly recall reading of the Beast that emerges from the Sea with 7 heads and Ten horns and back then while I was still in my teenage years; there were many movies on T.V. about Godzilla and other monsters of the sea and I honestly believed that in the end times some type of a 'Man Eating Dinosaur' was going to come back to life on this planet out of the sea to destroy all of humanity exactly like in the : Japanese Godzilla Movies !!! ( Amazingly I have forgotten many important events in my life, BUT not that very first one when I first read from the Book of Revelation decades ago*) Never in a million years did I think that GOD ALMIGHTY would grant this servant of His the great privilege & responsability of teaching especially about the Prophecies of Daniel & Revelation to this final generation with this 'Little Website' that now reaches many nations !!! 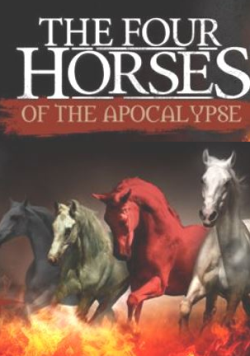 It is a great tragedy that today, some 'Christian Churches' never teach the Book of Revelation, in fact this student of Bible Prophecy has personally heard and visited numerous 'Prosperity Churches' and heard numerous 'Prosperity preachers' who almost always only focus on temporary material wealth and avoid the Book of Daniel and Revelation as if it contained some type of a 'Contagious Apocalyptic Plague' that could blind all of their followers !! !...I'm not advocating that the Book of Daniel or Revelation be teached and preached every single Sunday in church, 'BUT' no true servant of GOD should be ignoring the eschatological message of the Holy Bible either !!! The true servants and expositors of the WORD of GOD will teach and preach the entire Bible and 'NOT' avoid some books and Prophets in the Holy Scriptures !!! Although there were several major things taken place in these past two weeks all over this world Angela Merkel's re-election victory in Germany tells this 'Watchman on this Wall' that the end is 'NOT' yet !!! Mrs. Merkel has won a fourth term in Germany 'BUT' this victory is different than all others because her immigration policies have awakened a sleeping giant all over Germany !!! ( the far right wing party AfD 'Alternative for Germany' who is staunchly against foreign immigration won 3rd place *) Although, the right-wing parties of both France and Germany lost in this election cycle, the evidence shows that they are growing and will 'NOT' vanish anytime soon and especially if Islamic inspired Terroristic acts continues to remove the peace in many European cities !!! Meanwhile every serious student of Bible Prophecy should take note that Angela Merkel has been 'DENUCLEARIZING' Germany for several years now and her plans are to have Germany nuclear power all phased out by 2022 and you better believe that Russia loves the whole idea of it all !!! The Hurricanes that affected : Texas, Florida, Puerto Rican and the Carribean tell this student of Bible Prophecy how ill prepared most of the population of this world is for the Tribulation Period that is guaranteed is coming according to the Book of Revelation !!! The hurricanes that flooded great parts of Texas and Florida are but a small taste of what is coming during the Tribulation period. It was rather evident that 'NO' American city can be fully prepared for any such great natural disaster, the highways and freeways of Florida were packed with thousands of cars trying to get out of the major flooding areas, food in all stores, drinkable water and gasoline soon ran out all over !!! If you didn't know; Puerto Rico is in a somewhat similar situation as Greece, their debt exceeds 120+ billion U.S. Dollars $$$ with pension obligations being included and because they are not a full fledged American state they cannot declare bankruptcy, because the U.S. Federal Bankruptcy code only allows municipalities of U.S. States to declare bankruptcy, so Puerto Rico finds itself in somewhat of a quasi-bankruptcy !!! Now that the Island's infrastructure has been almost totally destroyed by the Hurricane it remains to be seen how the Trump Administration is going to handle the Puerto Rican dilemma !!! 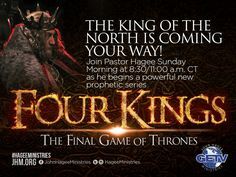 Students and Teachers of Bible Prophecy all over have been warning about what is coming for decades and now it seems that 'MAYBE' the birth pangs may just starting to increase in intensity as never before !!! A few who called themselves Bible Prophecy experts were promoting a non-biblical September 23 event that made all students of Bible Prophecy look bad 'BECAUSE' inferring somehow that something may happen come September 23 or inferring that there may be a small ring of truth to it all makes one guilty of promoting dates and events that are clearly 'NOT' supported by the Biblical Prophecies !!! 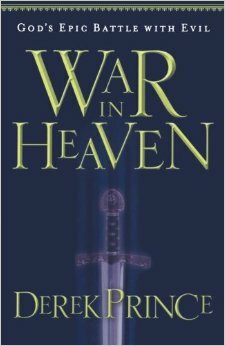 As a seasoned student of Bible Prophecy it is 'challenging enough' trying to correctly interpret the Prophecies of the Book of : Daniel, Zechariah, Ezekiel, Isaiah and Revelation and when some 'so called Prophecy experts' come out on Youtube or with a new Prophecy book that very clearly does 'NOT' align with the written Prophecies it makes even the true and real 'Watchmen / Watchwomen' of GOD all look bad !!! Years ago this student of Bible Prophecy stated that major wars are coming that will very forcefully rearrange the balance of power all over this planet and especially in the Middle East and Israel and this student of Bible Prophecy still stands by that interpretation !!! The 'Covenant with the Many' can 'NOT' come to pass until after a major war takes place somewhere in the Middle East; it could very possibly be the war against Damascus or another war that will involve Iran and Russia 'BUT' if there's a clear pattern in all of this it is that 'ALL' the major Prophetic events involving Israel have taken place because they won a major War against their neighboring enemies; this is true of Israel's 1948 independence and is also true of the recapturing of Jerusalem in 1967 !!! Years ago this student of Bible Prophecy heard a Jewish lady state that Christians were really praying for the Apocalypse to happen so that all the Jews could get wiped out !!! The truth is that the Jewish lady who made that comment was 'NOT' even a practicing Jew herself, she was a successful 'business woman type' who obviously looked and seemed to have absolutely 'NO' problem living it up be it in ancient : Babylon, Egypt, Persia or with Roman Pagans if she had the opportunity !!! ( Revelation 3 : 9 ) Some people be it 'Prosperity Christians' or 'Non-Practicing Jews' don't want to leave this corrupt planet because they 'LOVE' the things of this world more so than the things of GOD !!! This servant of GOD obviously loves Israel and all Jewish people, all my Bible Prophecy comments prove this, as a gentile believer I know that GOD 'SHALL' fulfill every single prophecy that He made to Abraham and then some !!! GOD is most certainly 'NOT' done with Israel or its Jewish people !!! Just like GOD didn't give up on you nor me; He most certainly is 'NOT' totally giving up on all His original chosen people and it is Prophesied in Zechariah that He will ultimately save and redeem 33% of them during the Great Tribulation !!! 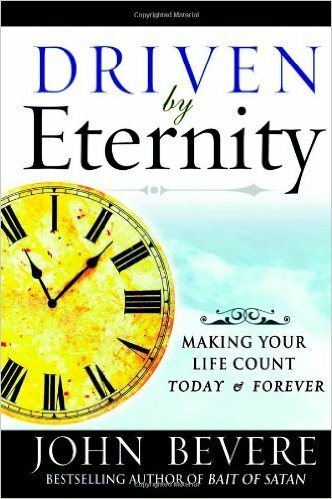 By : Mario Romano; this student of Bible Prophecy does 'NOT' take pleasure nor delights in the misfortune of anyone created in the 'Image of GOD.' As a GOD fearing believer in the GOD of the Holy Bible and in the endtimes Prophecies found in the Holy Scriptures it is nonetheless my responsability to WARN to anyone who will listen; that very unfortunately BILLIONS of people will perish during the upcoming Tribulation Period !!! It is most definitely 'NOT' going to continue to be 'Business as Usual' once certain key prophetic events begin to take place !!! Most teachers and student of Bible Prophecy sense that something greatly WICKED and UNHOLY heads to planet earth; be it from the Abyss down below us or from an unholy Ex-Cherub Angel who knows that his days are numbered as the Prince of the Air above us human mortals, GOD's grace is 'NOT' forever nor will He allow wickedness and sin to seemingly exponentially multiply forever !! !